Looking for potential Market Turns in FX markets? Many traders had come to me saying that the FX market is so unpredictable and that not only does the release of economic data move the currencies’ prices, the FX market seems to be affected by many other factors like central banks’ speeches and their intentions of raising or reducing its currency interest rates. And yet, putting aside all these news-related price movements, the currencies also seems to have a kind of rhythm to dance with themselves. Yes, FX markets do response to a lot to expected news (such as economic data release) and unexpected news (such as earthquakes/ missile tests from Korea etc) as it pretty much runs 24 hours a day. But this is also the reason why I like to trade with FX a lot – that is, the planets in our solar system are also moving in the sky 24 hours a day as well. And they keep on giving signals to our investment markets – Don’t understand what I mean? 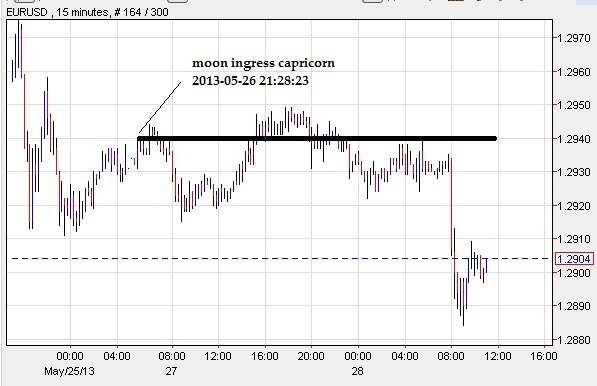 Let’s see a few examples on how I read the markets from an astrological point of view! First, I would like to raise a non-FX example so as to explain the theory that I am introducing to you is universal to all investment products, and that it does not only confine within the FX market. 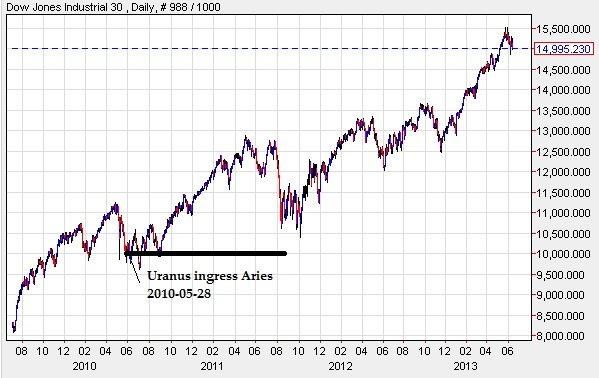 For example, on 2010-May-28 is the Uranus ingress date, and let us take a look on its interaction with the Dow Jones Industrial Index. (Shock!) 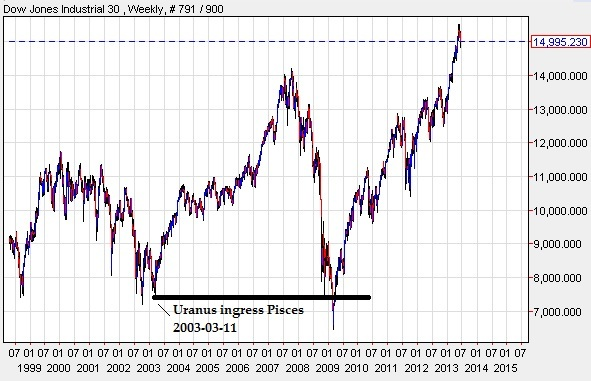 See that Uranus ingress served as a ‘base’ for market to advance as time goes by. This is what had happened when Uranus ingressed Pisces on 2003 March 11. It (ingress of Pisces) served as a ‘base’ for the bull market in 2003 – 2007, and it worked nicely with the 2008/ 2009 financial crisis which it served as a mysterious support at the same price level. Do you see same interaction/ price pattern going on, in both of the DJI charts? 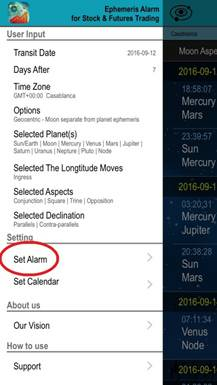 Assuming you have already downloaded the iOS app “Eph Alarm” and have watched the video which introduces basic functions of the app on "Trineaspect". 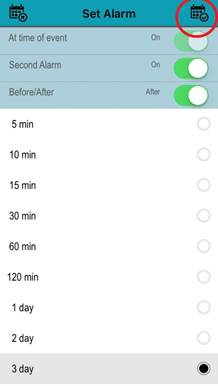 Now you can import all these ingresses date onto your apple calendar, and set an alarm from 120minutes to 3 days ‘after’ they occurred in the sky and check if they had served as ‘ bases’ in the market when the alarm reminds you of their occurrence. Set a tight stop loss a bit below (if it serves as a bottom) or above (if it serve as a top) the ‘base’, and then you can ride with the trend together with your analysis derived from fundamental analysis or technical indicators. You can also treat the ‘base’ as an alert that a certain trend might have changed whenever the market breaks these ingress ‘bases’! 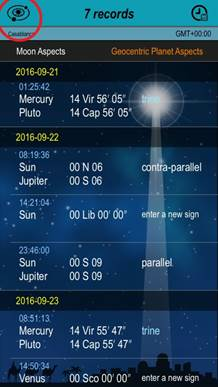 And clicking the right top hand Calendar button will allow you to import all these astro phenomena dates into your apple calendar. 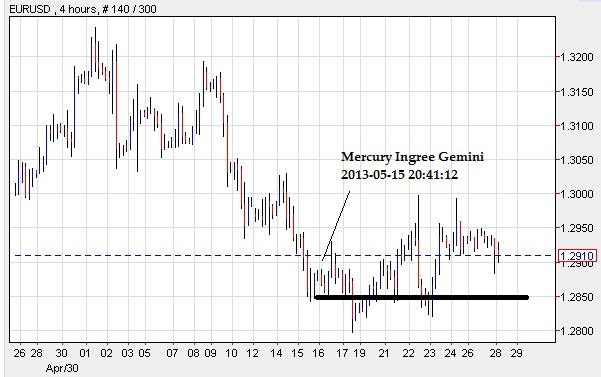 You may see when Mercury ingress Gemini, it serves another nice bottom for the Euro in May, 2013. Trineaspect.com and Khit Wong are not responsible for any profit or loss on actions taken on the comments shared in FXStreet.com. While the comments do not suggest nor imply in any way for any trade decisions for the readers, they are all for educational purposes.